Oils derived from plants and nuts, can greatly increase your hair growth as well as strengthen your strands. The key is learning to use the right combination of oils to nourish your hairs needs. The Omega 369 oil is created from 3 very powerful nuts. 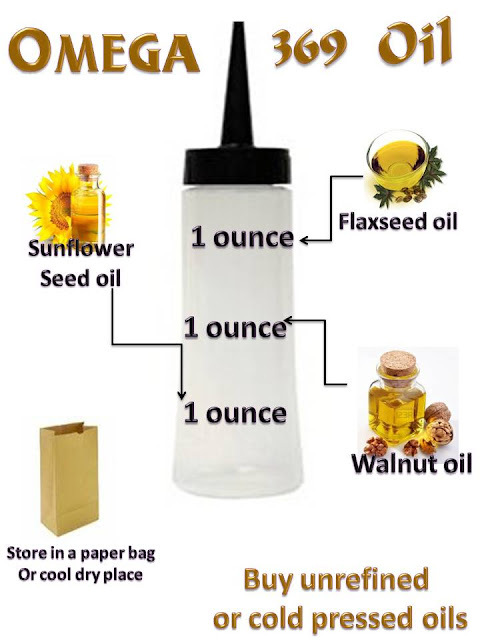 This is a perfect oil blend for the Summer or those who live in hot climates. When you purchase each oil be sure they are unrefined and cold pressed. This is the only way to reap the amazing benefits of this blend of fatty acids. With so many wonderful oils, how do I know this oil blend is the one for me? Should I invest in this oil? Does it appear that your hair has stopped growing? Do you have issues with inflammation? Are you taking medications which seems to dry your hair out? Does your hair stay hard no matter what you do? Are you currently dealing with hair loss and do not know the root cause? If two or more above statements are true for you, this oil blend could turn your slow hair growth or dry hair around. Remember to consider any medications you take, when using a new product. This easy recipe makes 3 ounces. Massage 1 to 2 tbsp of this oil onto your scalp, then smooth over your hair strands. Use daily during the Summer months then every other day during the rest of the seasons. Inflamed hair roots are a top cause of slow growth and hair loss. 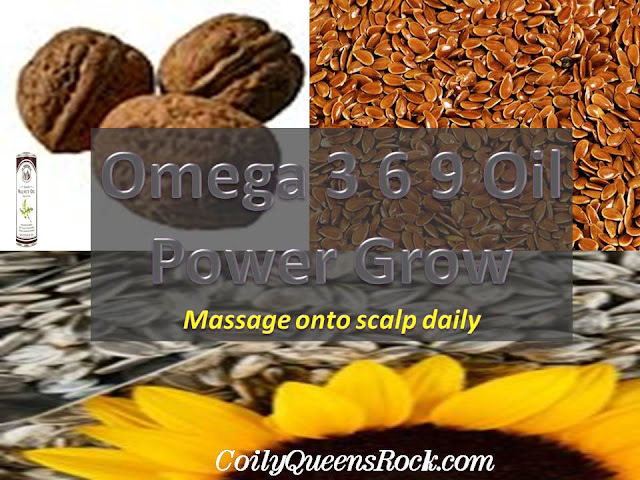 This potent blend of omega fatty acids reduces inflammation on the scalp.